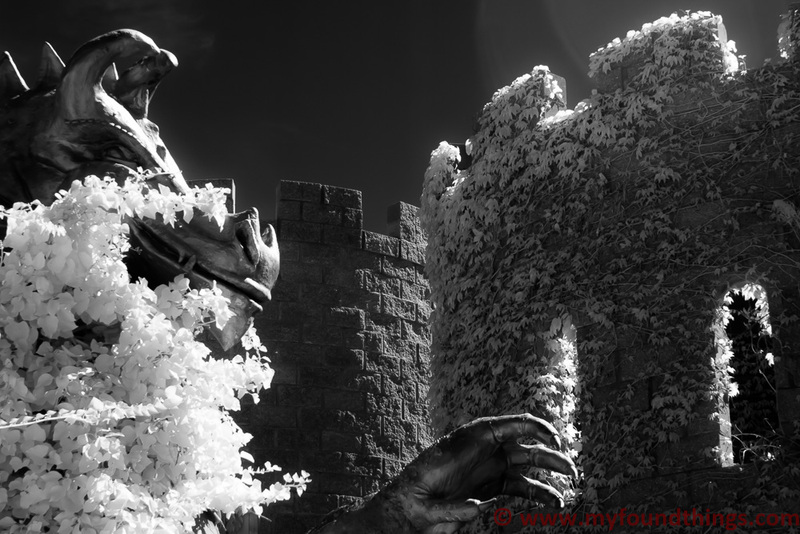 This week’s monochrome madness image is one of my favorite IR shots to date- the playful dragon who guards our Bio Park’s Children’s Garden, draped in smirks and vines. Though I get more use out of our membership alone than with the kids, I highly recommend a visit if you are ever in the Albuquerque area. I am debating between the pure monochrome version or a blue and white tone (below) – let me know what you think!